Crag packs take a beating. Metal climbing gear rubs and pokes from the inside, and unforgiving rock scratches and scrapes from the outside. Fully featured and comfortable-to-carry crag packs can put the hurt on the wallet. 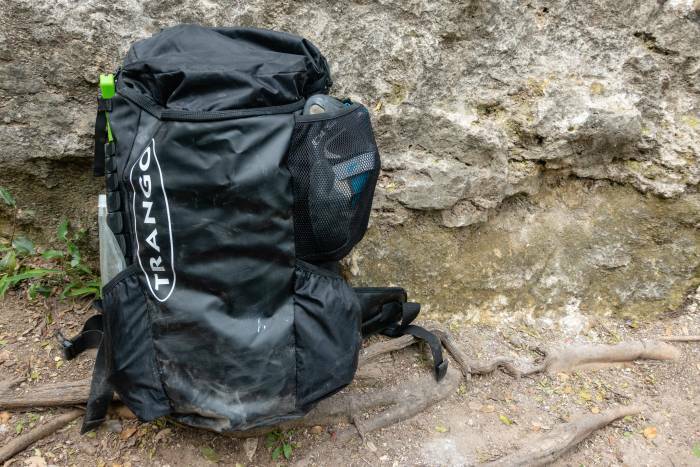 But the Trango Crag Pack 2.0, released last month, punches above its weight class with a retail price of $120. We tested the haul bag-style pack during a day at the local limestone sport crag for this first look review. Trango wraps the Crag Pack 2.0 in Titan Wrap tarpaulin fabric. This 1,000-denier body fabric has a PVC coating and promises to outlast bare fabrics in both interior and exterior abrasion resistance. 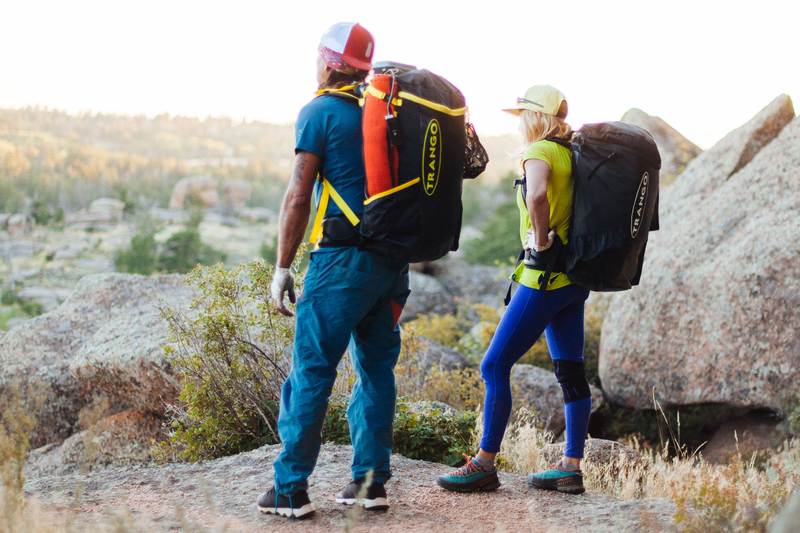 The relative lack of hardware and straps on much of the pack body also bodes well, reducing the chances of snagging and breaking, particularly when hauling the pack up faces. And the top-loading design means the main access zipper isn’t cross loaded and has less of a chance of getting abraded or torn. The Trango Crag Pack 2.0 is essentially a 45L top-loading bucket. The pack body is slightly tapered but still swallows a full rope bag at the bottom; the absence of this is annoying in my experience. The ripstop nylon lid has a large main zipped pocket with a key clip inside and a fleece-lined cellphone pocket. There are two cavernous side pockets and one side-mounted, external mesh shoe pocket. The mesh pocket lets climbing shoes air out between crags. The side pockets are large enough to hold a guide book, making it easily accessible while scanning for routes (another annoyance if it isn’t present). Each side also has a buckled strap mounted high, perfect for holding the top of a stick clip, like Trango’s Beta Stick Evo, or to lash an extra coiled rope to the top of the pack. 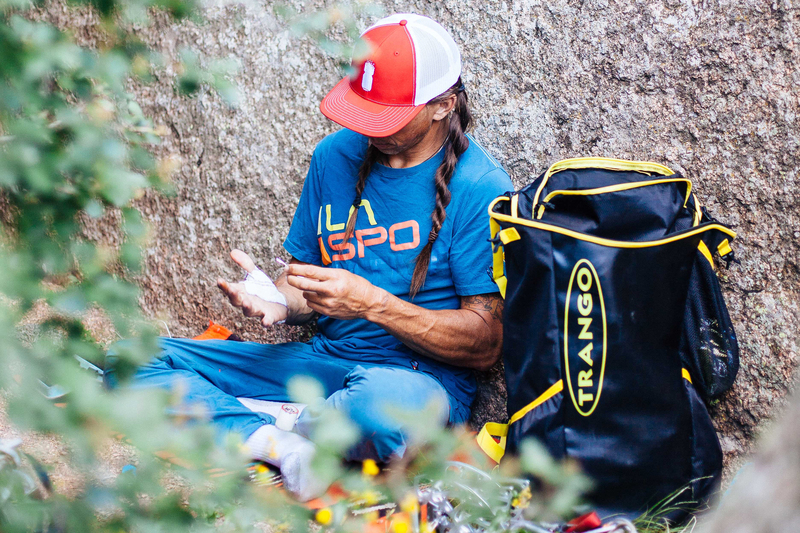 Trango also includes a small tarp, adequate for shoeing up or for racking gear, that is tethered to a side pocket (but is removable). The hip belt has gear loops, and there is a haul loop on the top of the back panel. As a final touch, Trango includes a roll of 25 litter bags. Our sample weighs a verified 2 pounds 12 ounces. I ferried a 25-pound load down a rocky trail to a local limestone cliff. The back panel and frame easily and comfortably directed most of the load to my hips through the padded and wide hip belt. Proper load-lifter straps on the contoured shoulder straps eliminated any downward force on my shoulders. I am 6 feet tall with a longish 21.5-inch back length, and the back panel fit me perfectly. I felt like I could comfortably carry an additional 10 pounds. The pack easily swallowed the rope in a rope bag, a harness, two pairs of climbing shoes, 2 L of water, lunch, a large puffy, and 12 draws and other sport climbing hardware. I had room to spare; I could have jammed a moderate trad rack inside as well. The Titan Wrap on the body and bottom was stiff enough to keep the bag upright and open for loading and unloading. I purposely treated the Crag Pack 2.0 roughly at the crag; I dropped it on rocks, bombed through tree branches, sat on it everywhere, and carelessly jammed hardware inside. Other than getting extremely dirty, the Crag Pack 2.0 was no worse for wear when I got back to the truck. 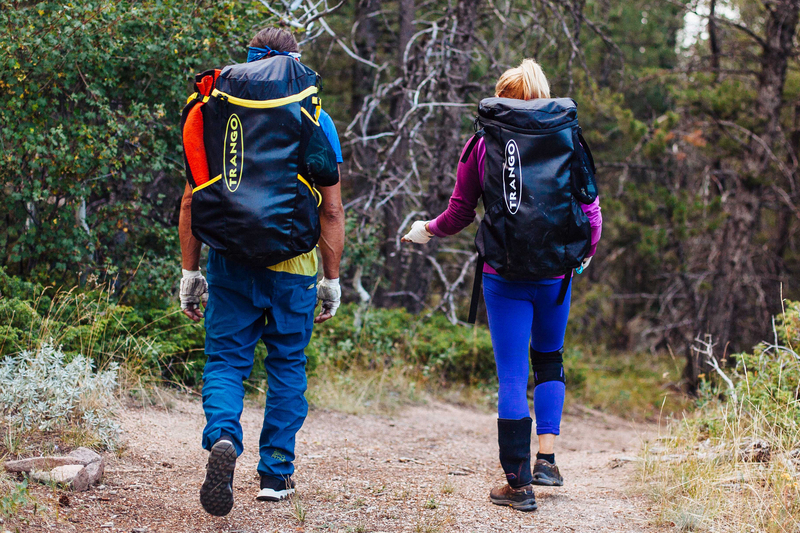 Although the Crag Pack 2.0 costs $20 more than the original version, it’s still a great value for a well-designed crag pack at $120. And although PVC-coated fabrics weigh more than their uncoated counterparts, my experience is that tarpaulin-style fabrics fare better with daily cragging and rock guiding. 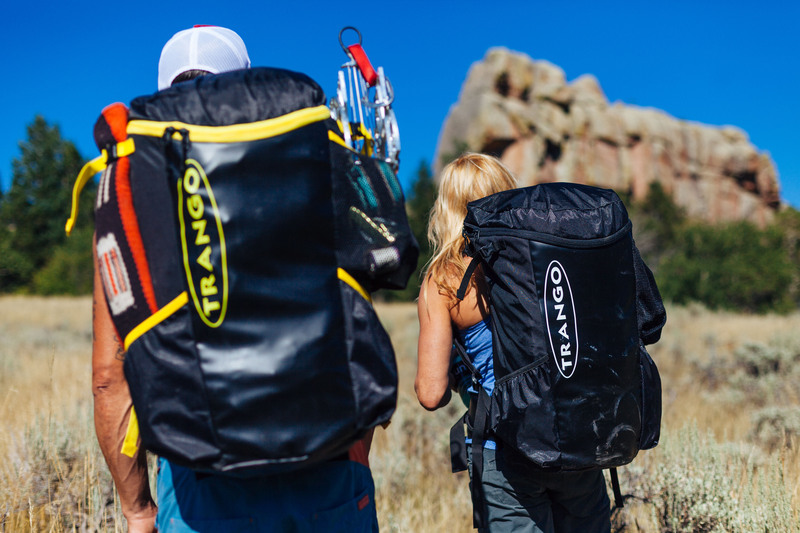 Trango thought about usefulness and longevity when designing the Crag Pack 2.0, adhering to the value-driven philosophies common to climbers. It may not be the fanciest or flashiest crag pack, but the features and durability, combined with the price, make it an attractive choice.